Planet J in its continued mission of bringing value to its readers organised chocolate-making workshop October 9 at Dempo House, Panaji. 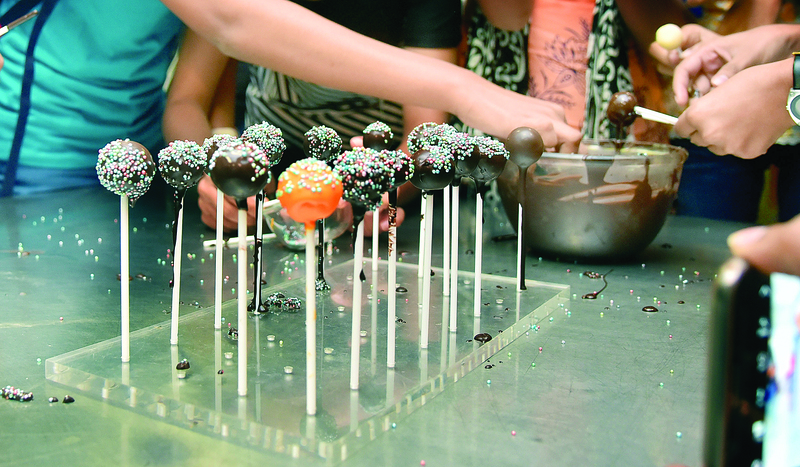 Designed specifically for the age group of 16 to 21, the workshop aimed at teaching youngsters how to make simple chocolates at home. 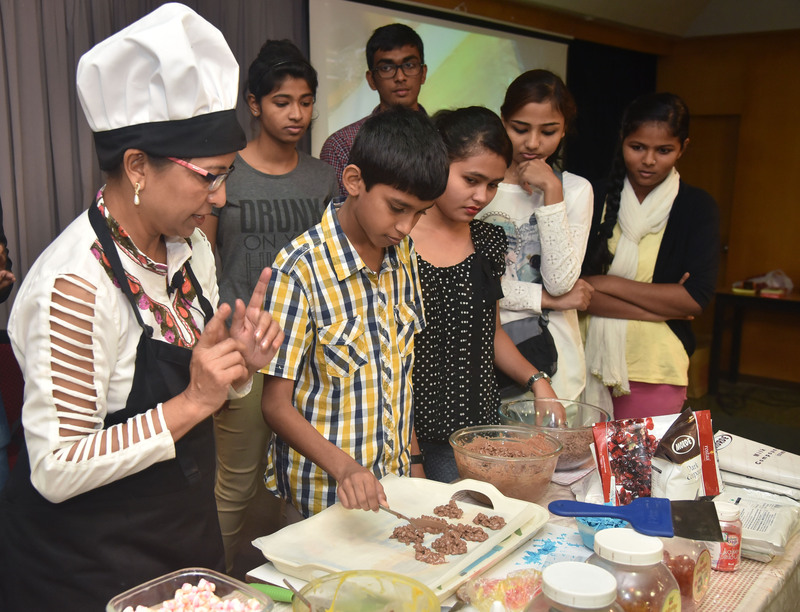 Hundred and forty three youngsters participated in the half-day workshop conducted by chocolatier Judy D’Costa. The workshop commenced with an introduction by D’Costa on chocolate and its features. Through the short documentary, ‘From bean to bar’, participants were acquainted with the process that transforms the humble cocoa bean to the heavenly and delicious end product that is aptly described as a ‘food fit for the gods’. A tray with the beans and cocoa butter were passed around so as to familiarise those present with what they look and taste like. The demonstration that followed had participants glued to the screen. D’Costa began with chocolate garnishes and demonstrated how to create beautiful single and double coloured garnishes by spreading melted chocolate over a textured sheet. She then cut it into strips and circles which she utilised for chocolates she made later in the demo. “These can be used not just for chocolates but also for cakes and other desserts and the visual effect will definitely improve,” she said. After each item was demonstrated she passed a tray of the same around, ensuring everyone got a taste of the confections. Participants waited in anticipation to taste the mouth-watering creations and none were disappointed. “I have included just the basics on the agenda so as to encourage the children to try their hand at chocolate-making. I do not want them to get discouraged trying out complicated chocolates as they can be rather tricky,” she said. After the demonstration, participants were more than ready to try their hand at what they had learnt from D’Costa; who went from table to table teaching youngsters how to go about making various chocolates she had demonstrated. 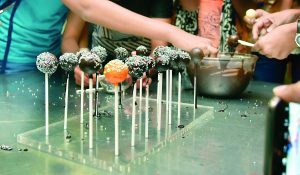 The marzipan chocolate pops seemed to be the hot favourite as participants tried making the most creative and colourful toppings for their pops utilising the various ingredients that were on offer. The buzz and excitement at the tables was very contagious and every single participant wanted to work with chocolate. For most it was a workshop like no other! One word to describe the workshop is supercalifragilistic – simply explidocious. It was an amazing experience and we had a great time. Thanks a lot. The workshop was very interesting and yummy with delicious chocolates. Thank you Navhind Times. It was an awesome workshop. The chocolate-making was unbelievable. I learned a lot and would like to thank you all. One of the best workshops I have attended. Thank you so much for organising it. We really did learn a lot and had lots of fun. Cheers! An interesting and useful workshop but unluckily I did not get to participate in the practical activity. This was the most delicious and marvellous Sunday ever. Learned so much. Thanks ma’am Judy. It was a great experience getting to learn new techniques and making chocolate in different ways. Thank you for the yummy journey. I am very happy and lucky that I got to attend the workshop. I had a great time with Navhind Times and my friends. Navhind Times Plant J always comes with innovative workshops. Learnt a lot and especially enjoyed the marzipan pops. It was a really chocolately amazing workshop. It was a fun and inspiring workshop and has inspired me a lot and increased my craze for chocolates. Thanks Navhind Times for organising such a yummylicious workshop. The workshop was very yummy and delicious. It was a really amazing and enjoyable experience. The video on how chocolate is made was very interesting as well. Thanks for organising such a flavourful workshop, enjoyed every bit of it. Waiting for the next workshop. It was a very chocolicious experience. I have learnt a lot from this workshop and plan to make something special for Christmas. It was a wonderful experience and I had a lot of fun. The session was too good and I had a great time. I love chocolates and this workshop just made it even more delicious. Planet J has yet again outdone itself. The workshop was not just mouth-watering but also a learning experience. Thank you Navhind Times. Navhind Times Planet J is doing an amazing job by organising such workshops. This workshop was the best ever! I can now make chocolates at home. Thanks Planet J. A wonderful workshop. It was innovative as I learnt new techniques of chocolate-making. Thank you for a delicious workshop. 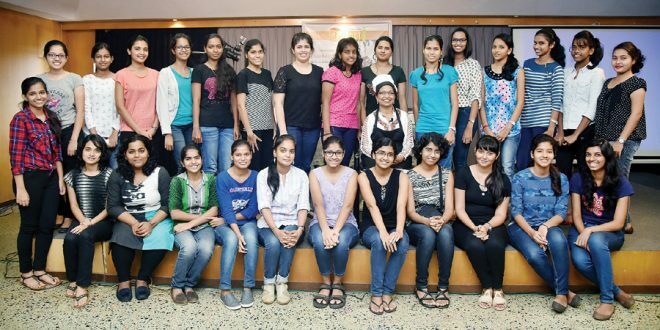 Hats off to Planet J for organising such wonderful workshops. Planet J has made me fall in love with chocolate all over again. This was my first Planet J workshop and I learned a lot. Everything was just amazing. Got to see and learn a lot. Thank you Navhind Times Planet J for the amazing workshop. The workshop was very interesting and so was the documentary which taught us how the bean transforms into chocolate. I learned how to make a variety of chocolates. Thank you so much.